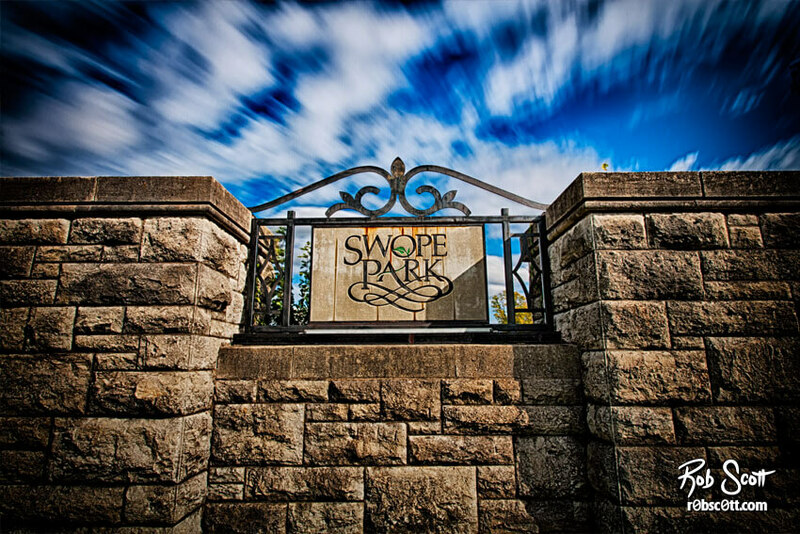 Swope Park’s Grand Entrance on Meyer Blvd and Swope Pkwy. The Grand Entrance was designed by John Van Brunt in 1901 as part of initial phase of Swope Park. Construction began in 1904 and was finished a year later. The entrance consisted of the limestone pillars and wall until 1949 when a sign was added to it.